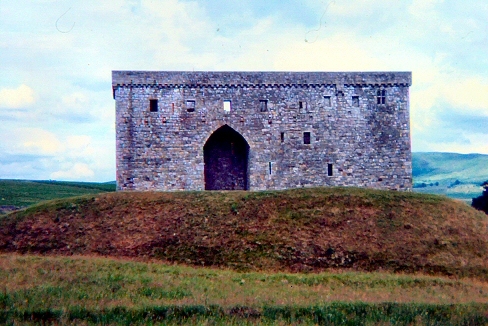 Description: Hermitage Castle is massive in size and appears to be sited in the middle of nowhere! However the location was critical during the border wars. 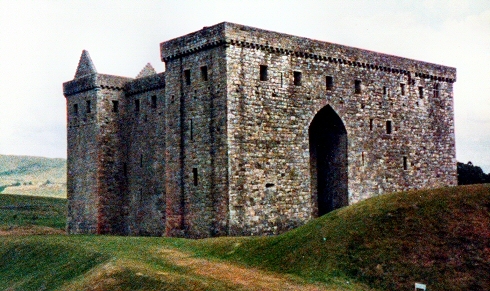 Built during the 14th and 15th centuries by William the 1st Earl of Douglas, its walls and massive doors repelled most invaders. It is owned by Historic Scotland. Description: This view shows the castle on its grassy hill amongst the rolling border hills.